This year, the SUBWAY NIBFA National Youth League will be competing in the 2019 Mayors Cup in Las Vegas, NV. Roger Tabor, Tournament Director of the Las Vegas Mayors Cup, has kindly offered DB Sports Tours a place in this competition and in turn, we have invited our Northern Ireland partners to further develop the relationship between DB Sports and the Subway National League, an extension of the annual DB Champions Cup. The Las Vegas Mayors Cup has expanded with each edition over the years, and now has over 500 teams participating across all age groups. In February 2019, the National League U15’s will be the first Irish team to compete in a tournament that has seen teams from Germany, Haiti, Canada and Japan travel to Nevada in previous years. The tournament will be a fantastic experience, for both players and coaches, in what will be a magnificent sporting occasion. For those travelling, the event will be one to remember for a lifetime. The assorted cultures and styles of soccer present will provide a stirring blend of football that can only add to the exciting atmosphere for those who attend. On behalf of the league Gerry said he was delighted his committee agreed to support the venture, they felt it was a unique opportunity to allow our players to demonstrate their ability on an International stage. 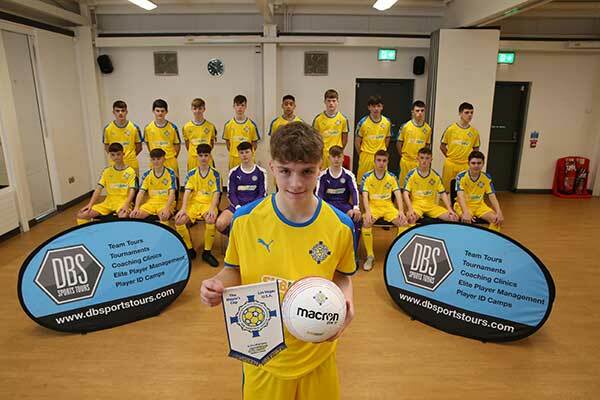 It also helps strengthen our partnership with DB Sports which has been a fruitful one for our clubs and teams. In the group stage the squad have been drawn to play Arizona 04 Miranda, Utah Alliance Premier, ISC Gunners Washington so now its game on and we wish the boys the very best of luck. Keep an eye on National League facebook #SUBWAYNYLinVegas for all the up to date information.